Velvet pod mimosa is abundant and common in the Chisos and Davis Mountains of the Trans-Pecos on brushy hillsides from 2500 to 6500 feet, and occurs north into New Mexico and Arizona and south to Mexico. 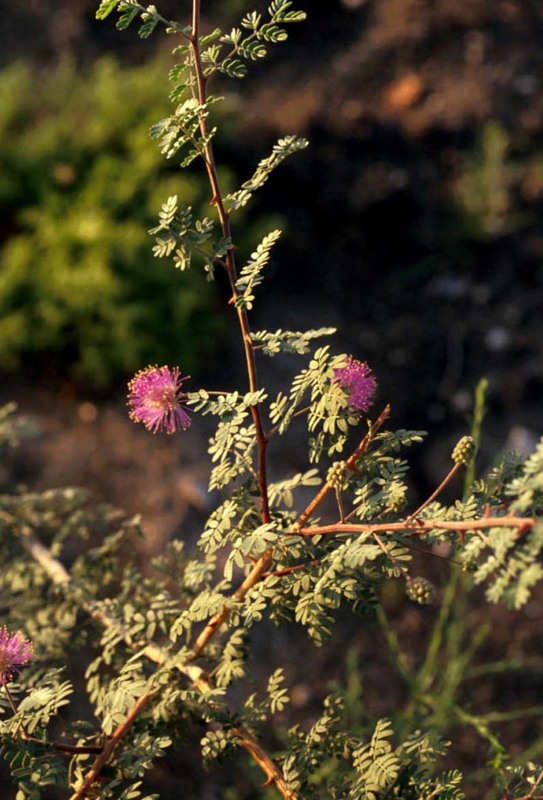 Numerous short, widely divergent, irregular but densely prickly branches bear pubescent (downy) bipinnate leaves and extremely showy, fragrant, pinkish-purple cylindrical flower spikes. Small prickles also appear on leaf axils. As the 1- to 2-inch-long, marginally prickly, constricted fruit matures in late August, it develops a reddish brown tomentose (velvety) surface. Hence its common name. Velvet pod mimosa tolerates extreme drought and reflected heat, and has ornamental possibilities as a handsome accent plant. The seeds are relished by Gambel's and scaled quail and the leaves are occasionally browsed by livestock. 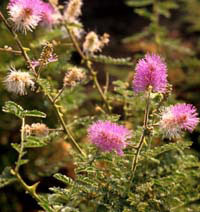 There is a variety called Wright velvet pod mimosa, Mimosa dysocarpa var. wrightii, which has narrow pods, mostly unarmed and with smoother leaves. But there are many intergrading forms between this variety and the species.